House located on a walking distance from the beach. 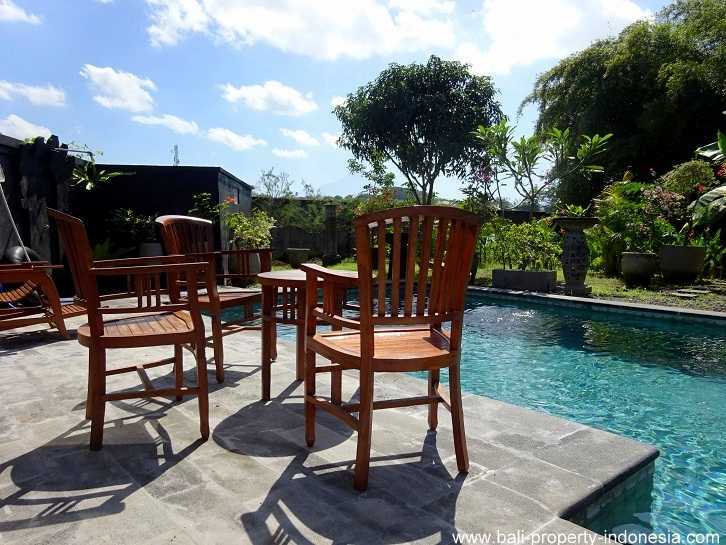 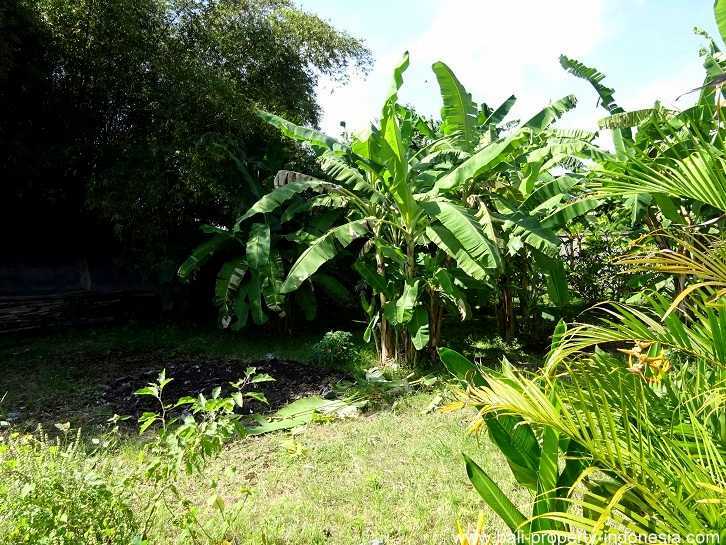 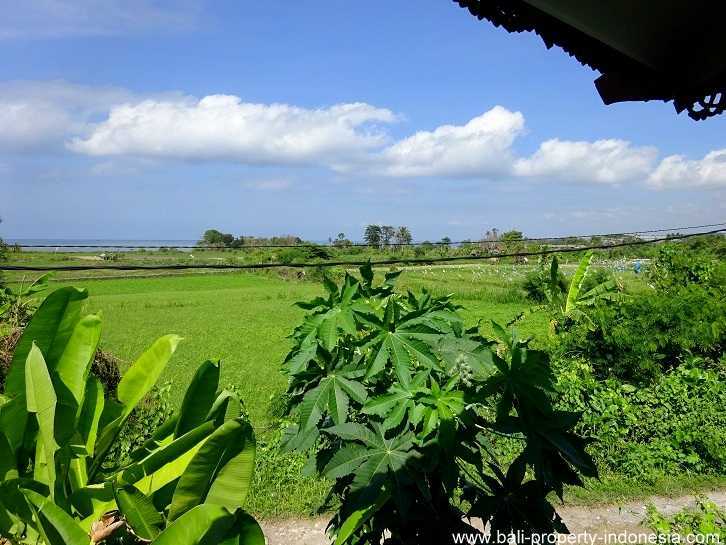 Just 5 minutes walking from the beach, views over rice paddies, mountains and the ocean, the possibility to buy some additional land directly next to the house…. 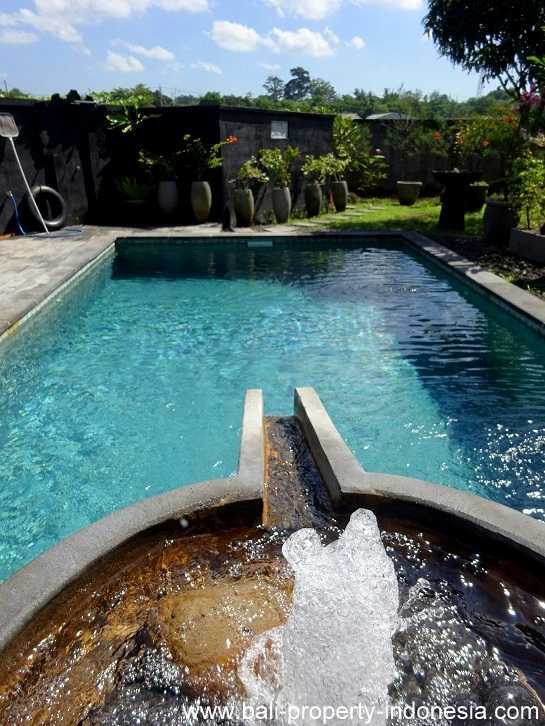 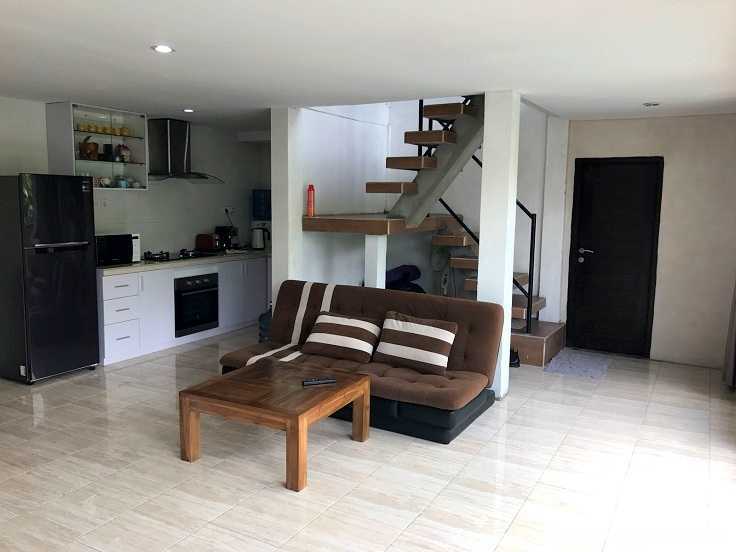 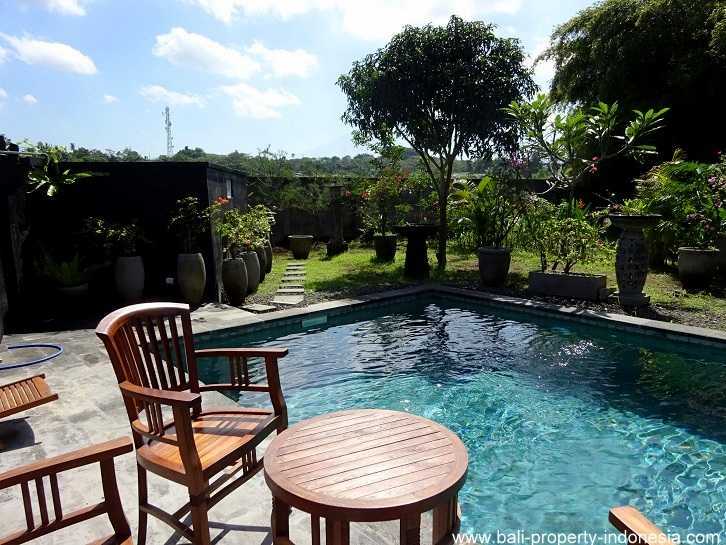 All this you can have in this different styled house in Pantai Siyut. If you are in the market for a complete different styled house, then you have to pay attention to this cozy home. 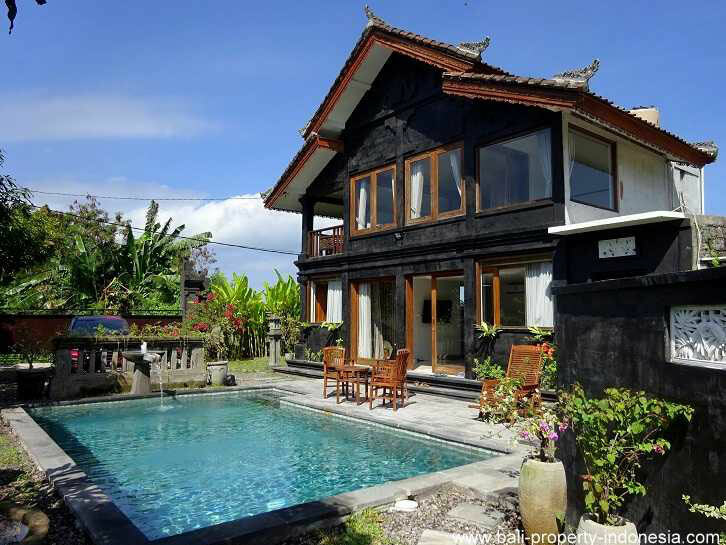 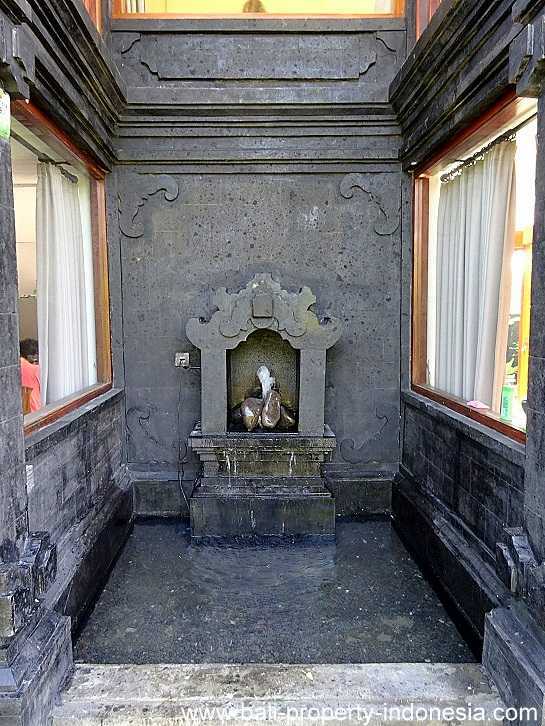 The outside of this property is decorated with natural stones, the same ones you will find in many temples here in Bali. 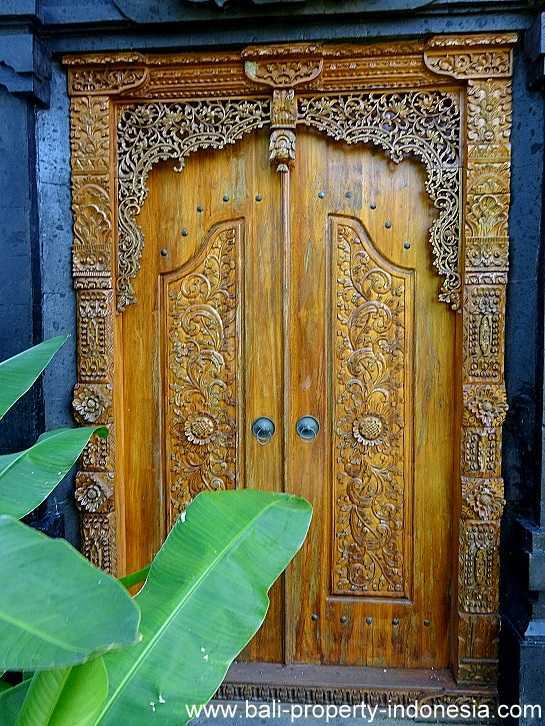 This all gives a different kind design which is a mixture of Balinese and Chinese. 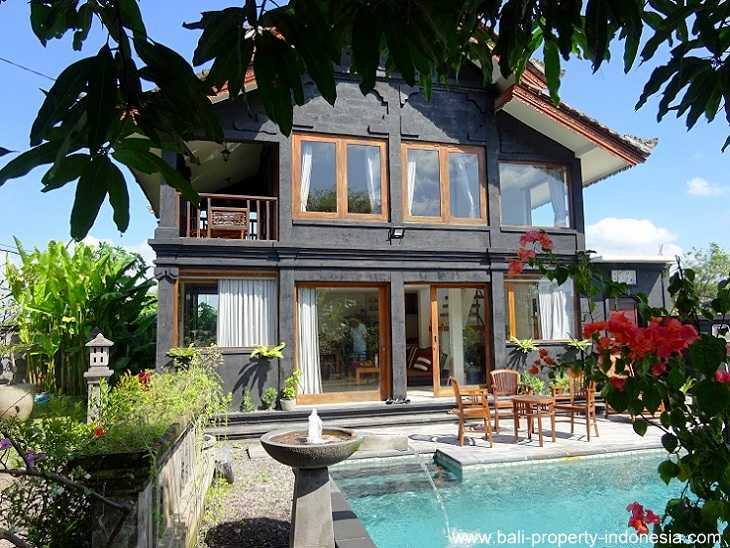 From a distance, the house even looks like a chalet which can be found in the Alps. 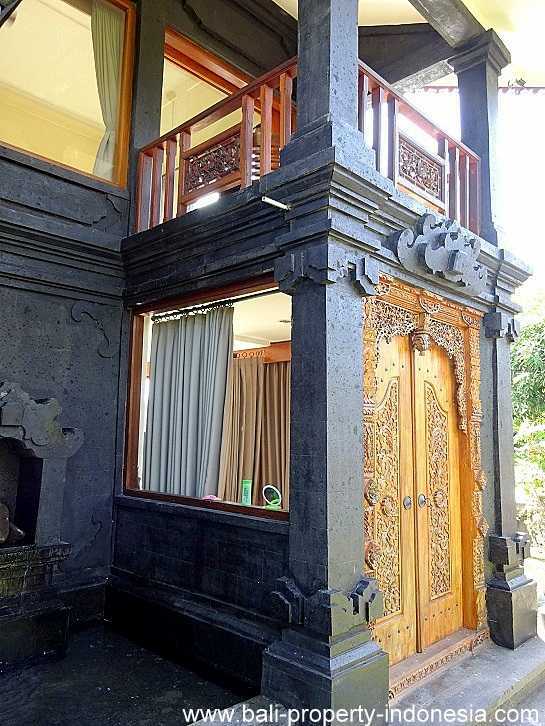 The house itself consists of 2 floors. 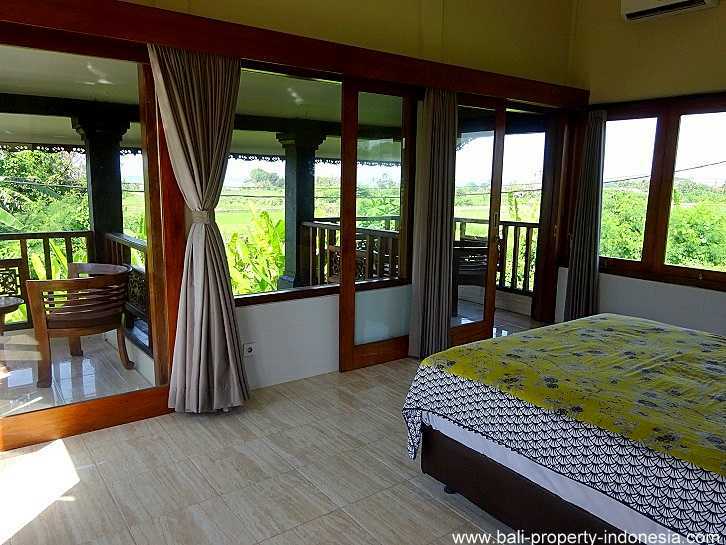 On the first floor you will find the bedroom with an attached small bathroom. 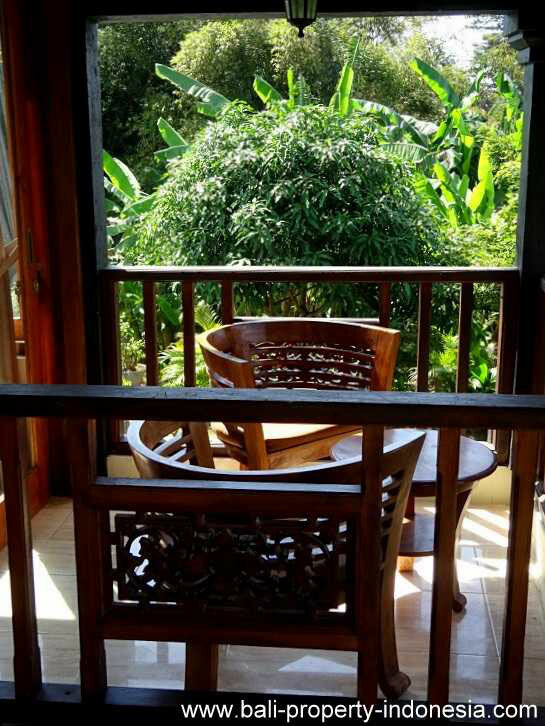 The views from this floor are spectacular. From here you will overlook the surroundings. 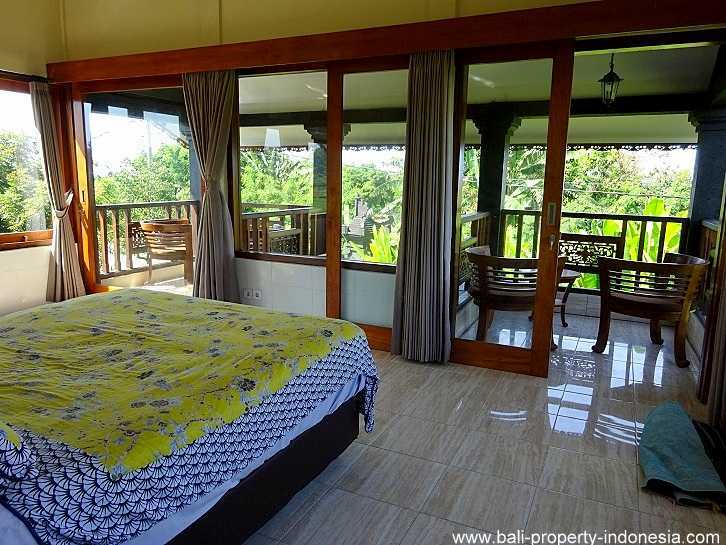 In front of the bedroom are 2 small balconies. 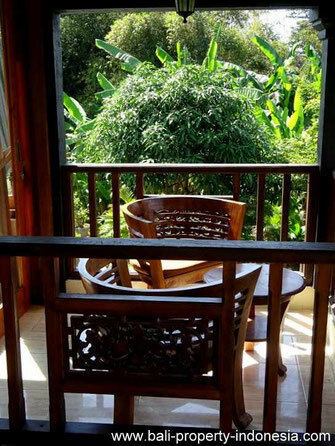 These are perfect places to catch a fresh breeze or watch the sunrise or sunset. 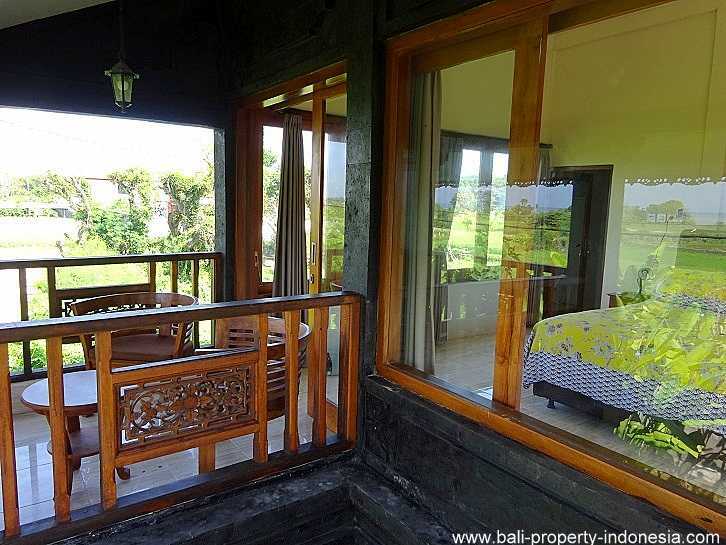 On the ground floor is the spacious living with in the corner the kitchen. 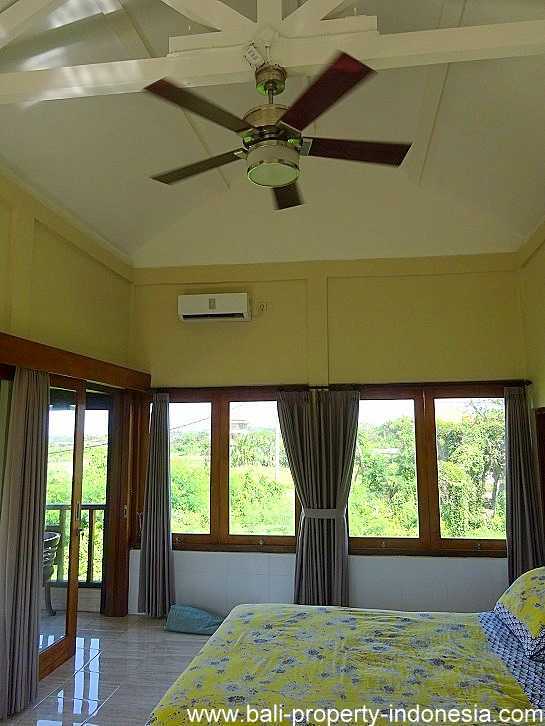 In this living are 2 niches in which the current owners has placed beds. 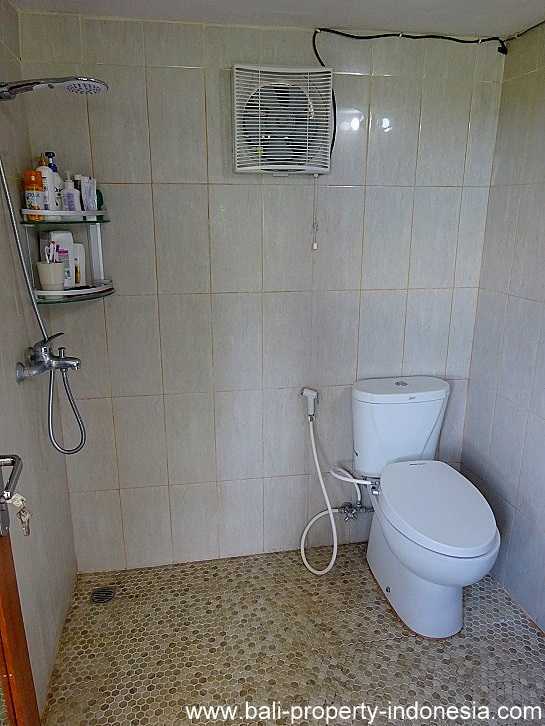 Additional storage and a bathroom can also be found in this ground floor. 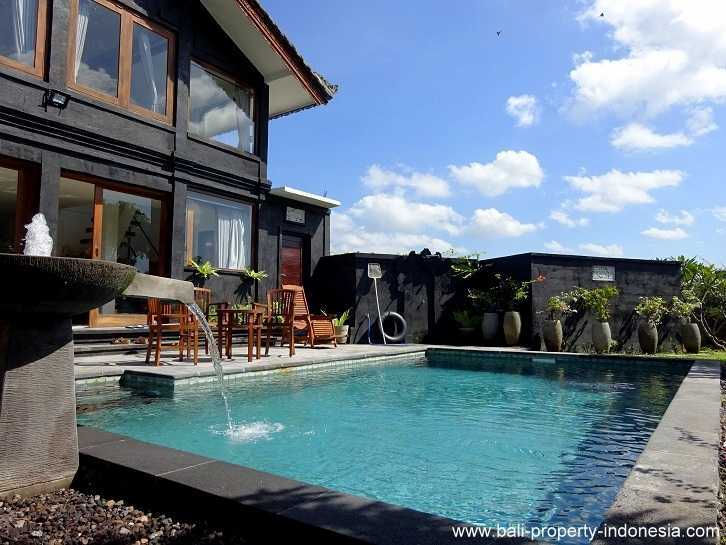 In front of the house is a nice swimming pool with a terrace next to it. An outdoor shower is available. 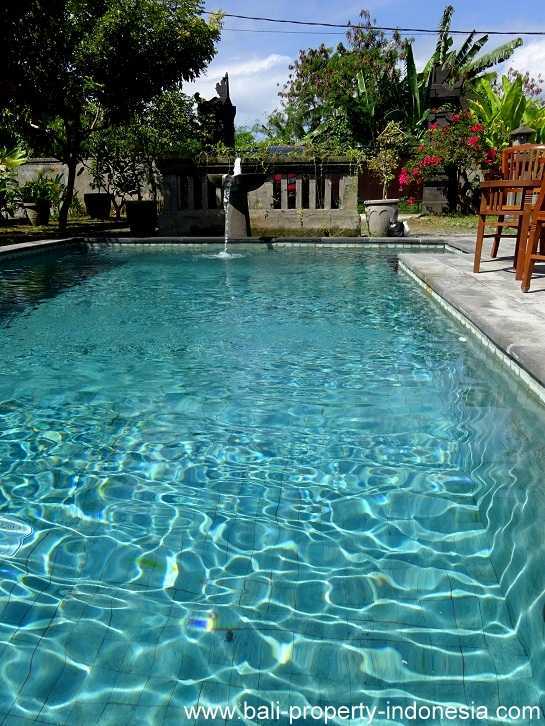 A separate room contains the pomp for the swimming pool. 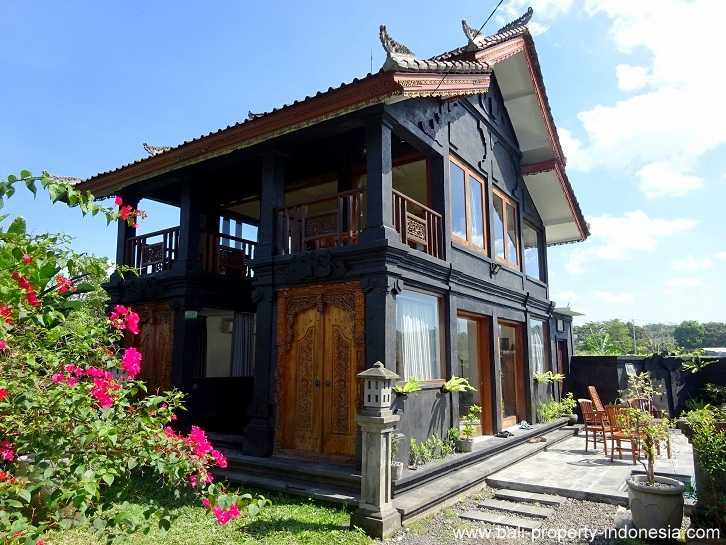 This house is located in Pantai Siyut. 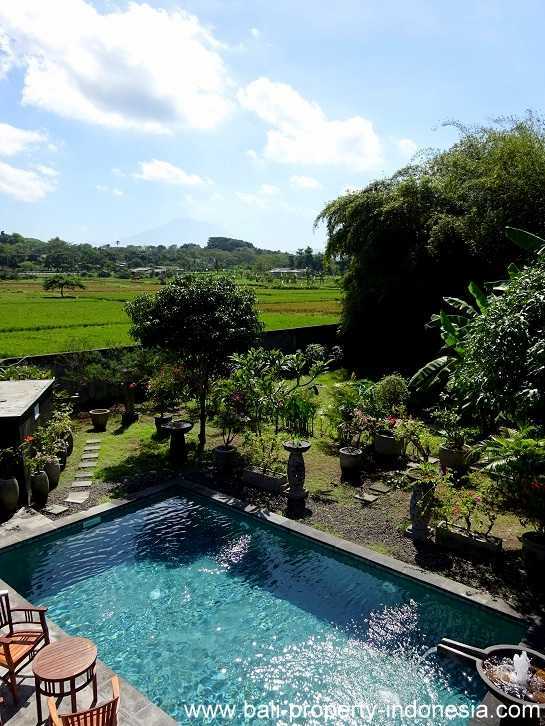 From here it takes about half an hour driving to get to Sanur. 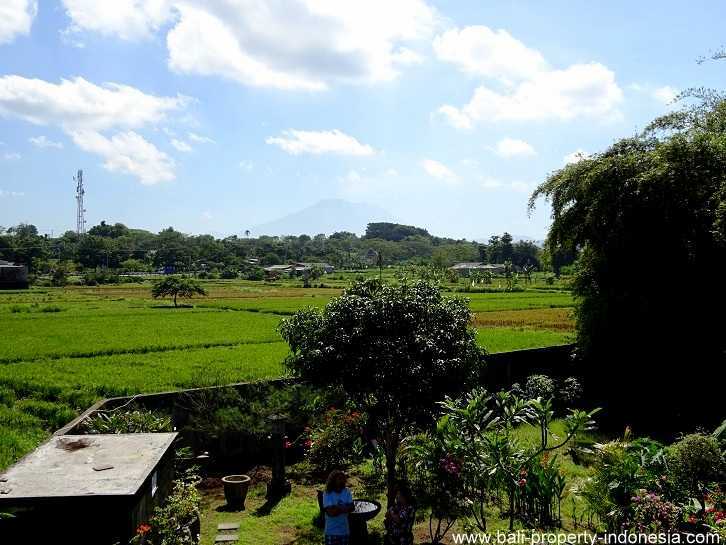 Candidasa is probably about 45 minutes driving away. 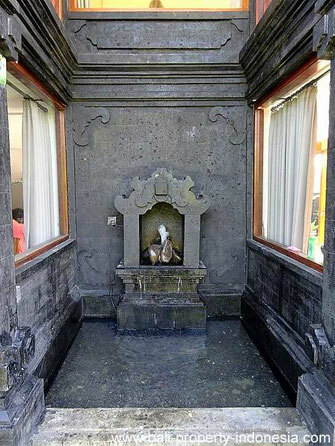 Villages like Gianyar and Klungkung can be reached within half an hour driving. 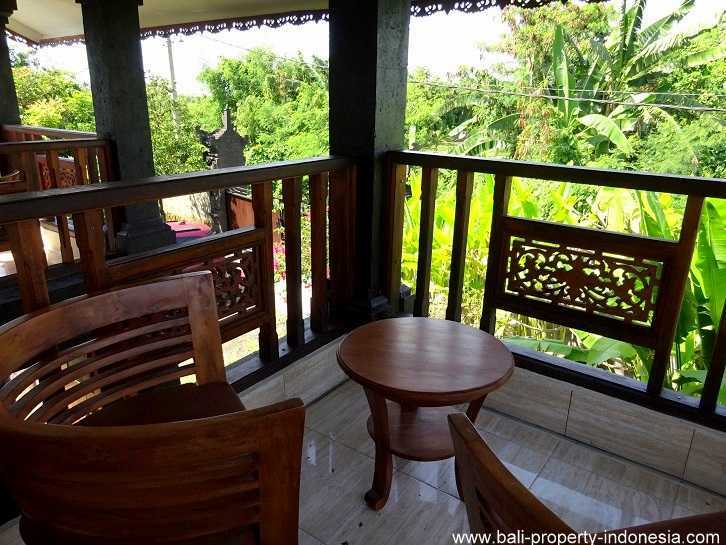 On a short distance from the house you will find restaurants and convenient shops. 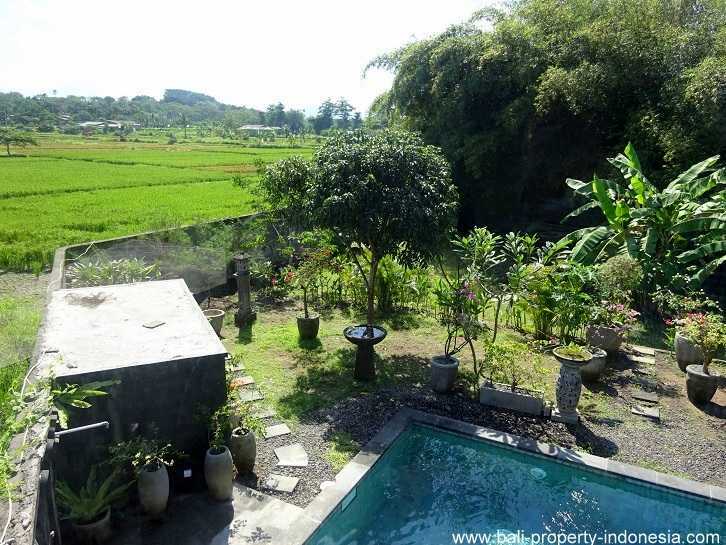 This house is offered for sale including 500m2 land. 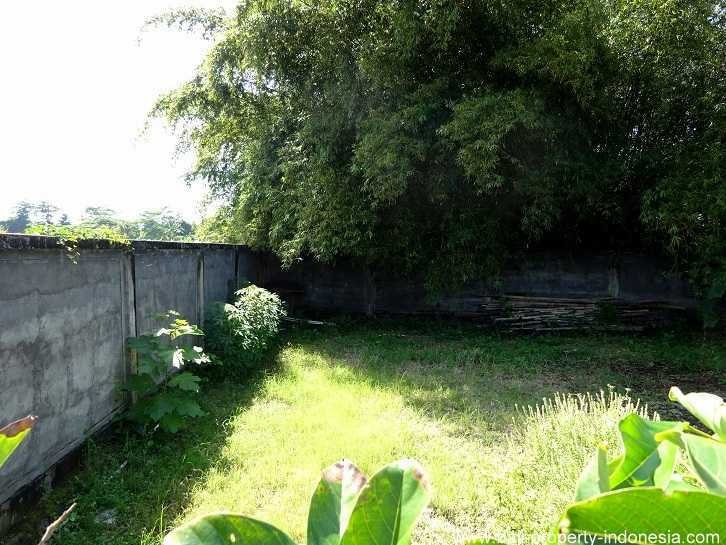 It is possible to buy an additional 300m2 of land. 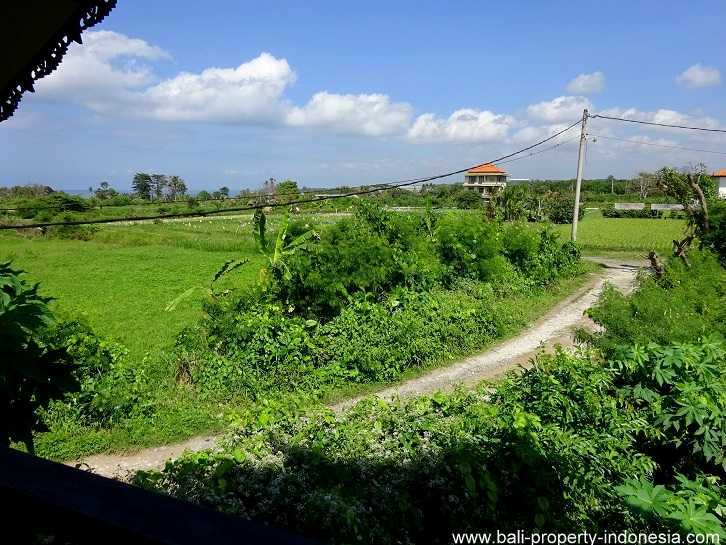 The price for the house and the 500m2 land is IDR 3.400.000.000. 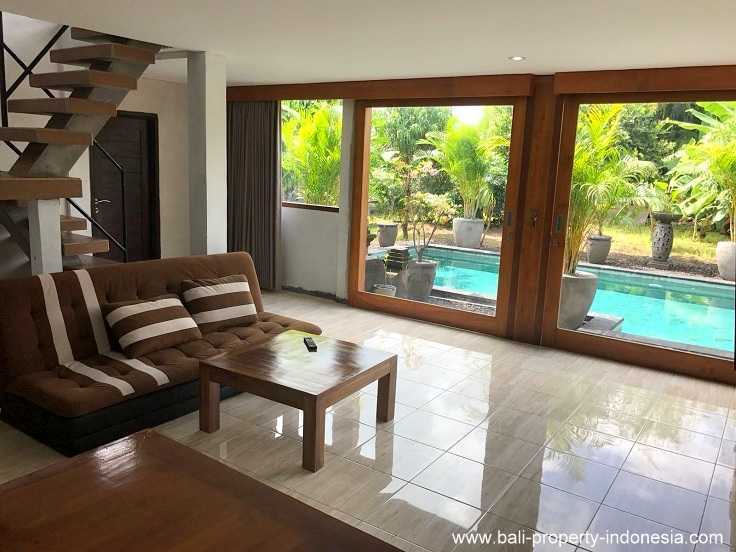 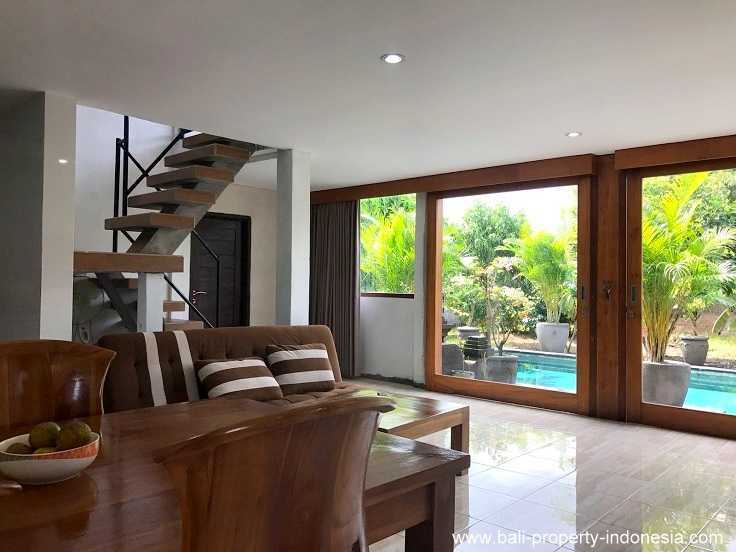 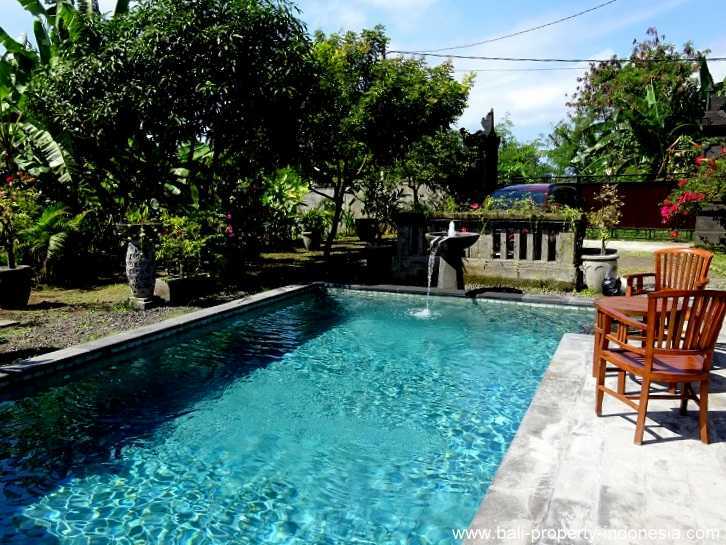 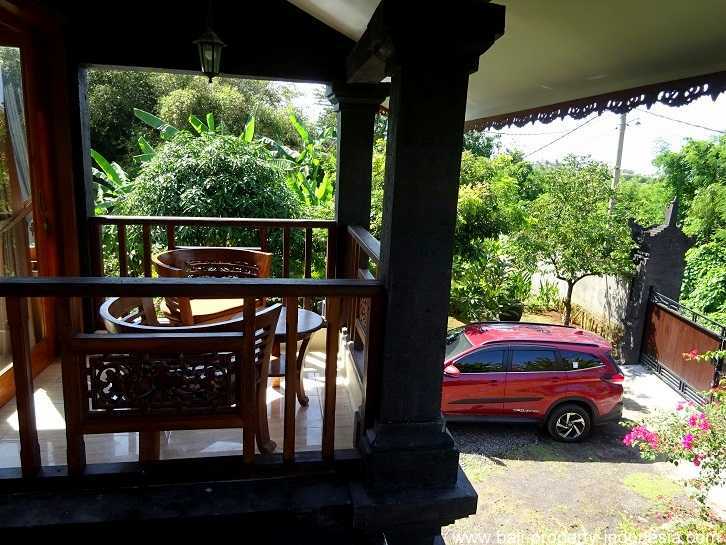 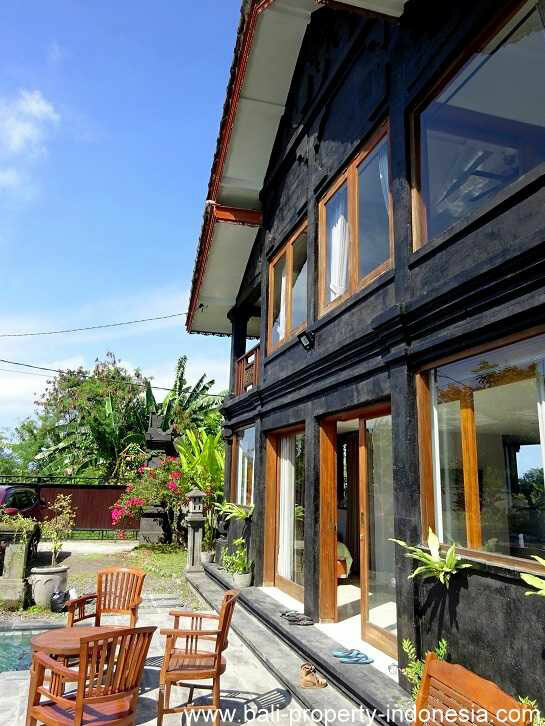 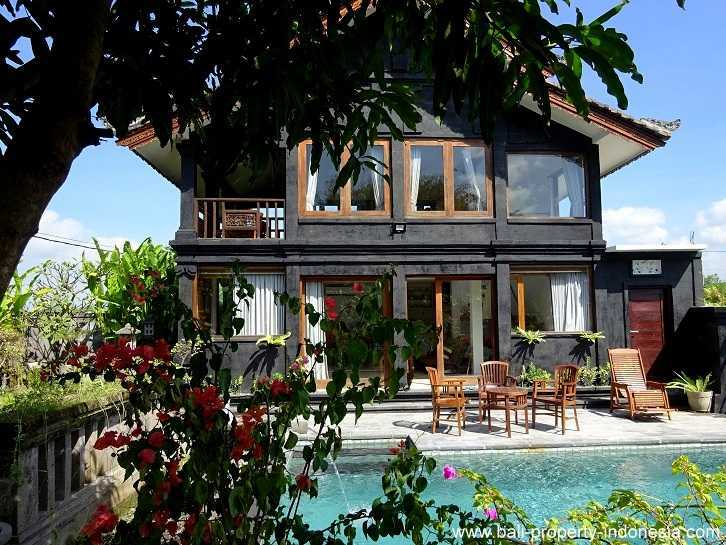 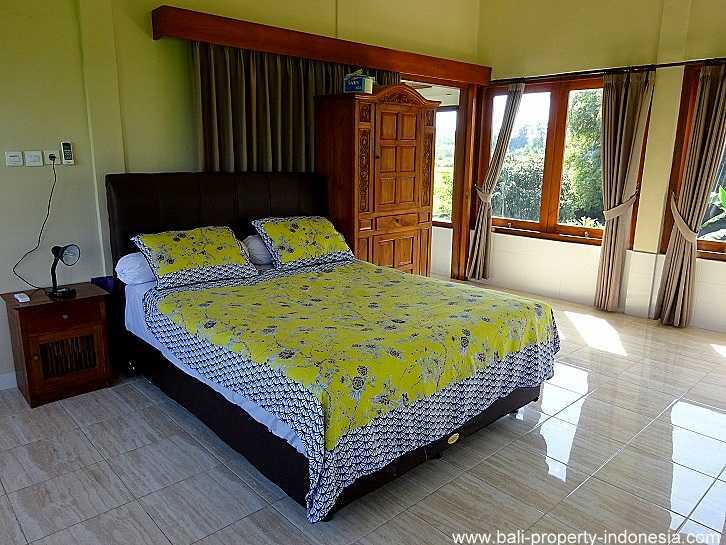 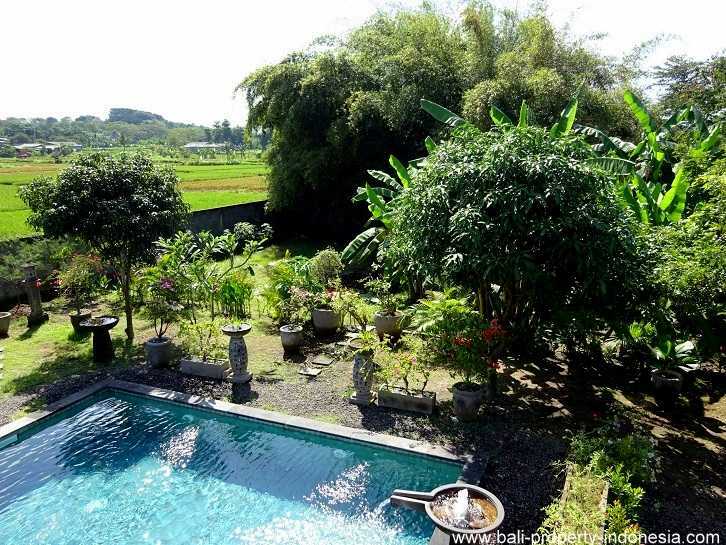 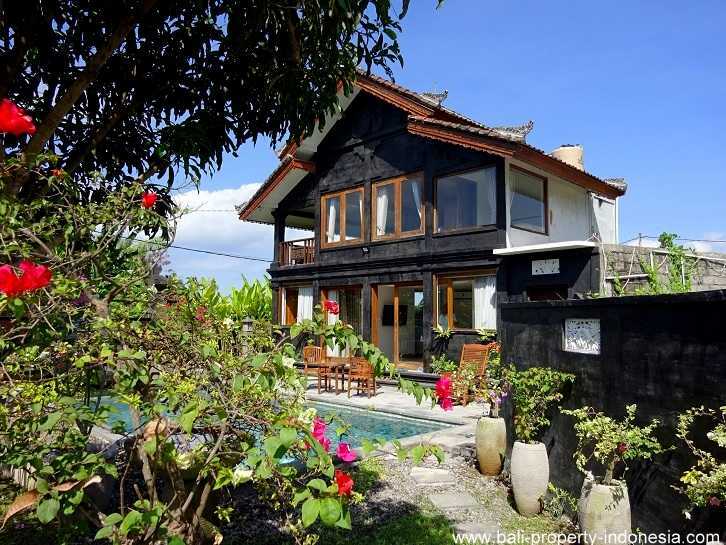 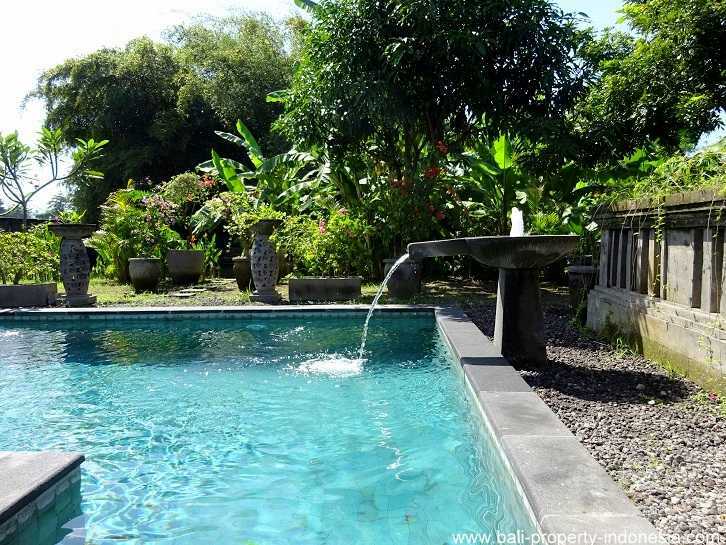 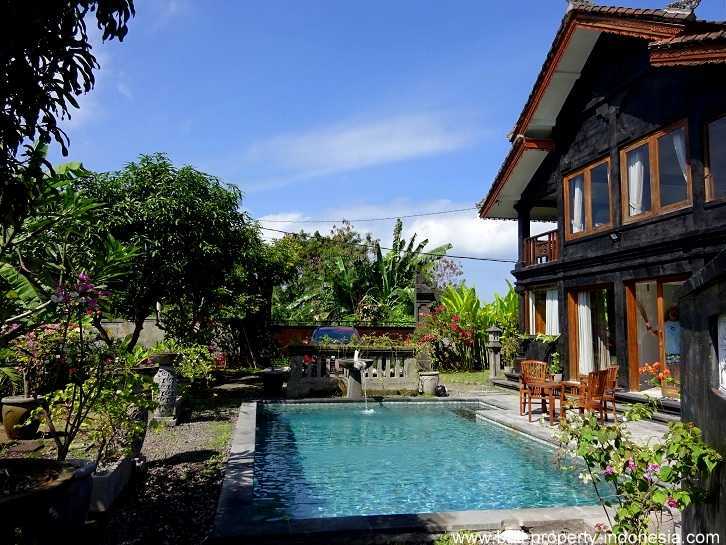 The price for the house including the extra land, so totally 800m2, is IDR 4.700.000.000. 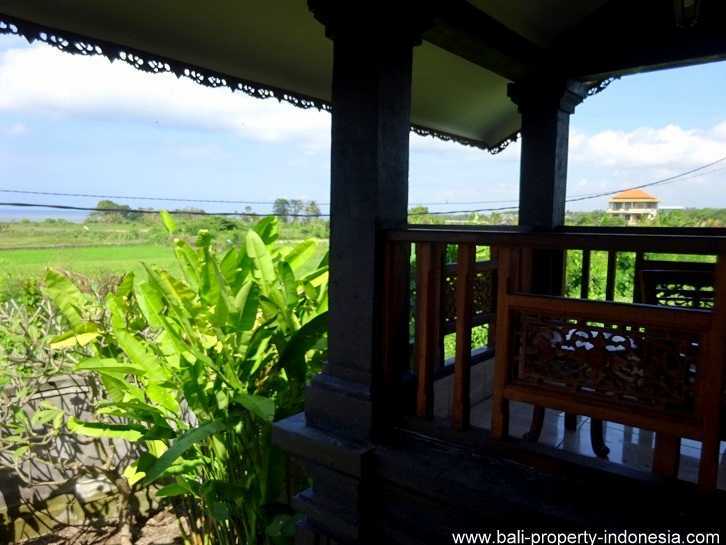 This house is offered both with a freehold title or a 50 years lease.